Prior to joining IRI, Rahel Diro worked at Oxfam America where she implemented the Horn of Africa Risk Transfer for Adaptation (HARITA) program that applies a holistic risk management approach to build the climate change resiliency of vulnerable rural communities. Through this experience, she has developed in-depth expertise in interrelated issues of access to financial services and climate risk management in agriculture. She has spoken on these topics at various conferences including at the UNFCC’s COP. Her research interest includes the role of financial instruments and market-based approaches in helping smallholders adapt to climate change and break out of poverty traps. Rahel completed her Bachelor’s in Agribusiness Management from Haramaya University in Ethiopia where she later served as a faculty member in the Agricultural Economics department. She also holds a joint MSc. degree in Rural Development from Ghent and Humboldt Universities, and MPA in Economic Policy from Columbia University’s School of International and Public Affairs (SIPA). 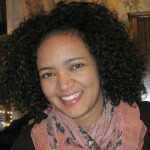 Rahel performs research analysis, project design and fieldwork with an initial focus on Financial Instruments in Ethiopia. Using research and site-specific knowledge, she is responsible to design processes that ensure field level project implementation and research activities are effectively aligned. Rahel works closely with regional stakeholders and bridges knowledge gaps through workshops and capacity-building trainings.